Mad fury internet research after a friend posted a weird picture of a gallon milk container with ‘Swiss chard & Cilantro’ written on the side. It looked strange. But her comment got me hooked. Sow the seeds, and basically ‘set it/forget it.’ Leave them exposed a bit with the rain/snow/sun. But protected from the wind and predators until early spring when the seedlings are ready to transplant into their permanent spots. She sent me to Winter Sown plus searching on ‘winter sowing zone 7.’ Love this so much…especially when my last attempt at fall planting failed so miserably. I wanted a simple low maintenance veggie/annual garden. This is works for northern zones as well as my area in zone 7. Now my problem is not enough milk jugs. So am scrabbling to gather whatever will possibly work. Seeds have been ordered and received from Southern Exposure. Found them through a Mother Jones review post on seed companies. I have no personal experience with them or their seeds. Fall planting & frost tolerant plants are the first seeds to sow, Swiss chard and kale. I’ll also sow the milkweed seeds send from my sister-in-law. (These seeds need a winter to germinate. Right now they are tucked in my freezer since they are from Minnesota.) 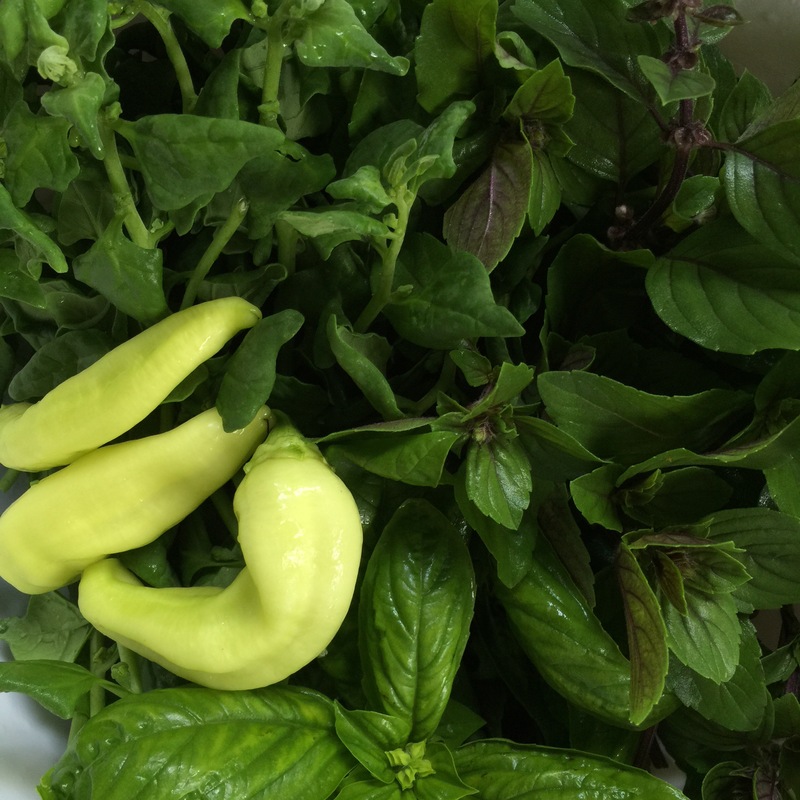 They will be planted up by the house next to the future Thai basil. All for the bumble bees and monarch butterflies. Oops, got too excited and sowed the new seeds first. Will do Swiss chard, milk weed and kale tomorrow. Radishes, beets, parsley, arugula, spinach, and lettuces when in Friday. I’ll sow more radishes & lettuces in a week. Actually, I sowed milkweed, arugula, lettuce & radish. The last batch will be a few okra and hopefully a third batch of radishes. Ok…am realizing I’m being over enthusiastic about planting area. But as a gardener, I am always optimistic. But I know better than to start tomatoes or zucchini or melons. I just can’t hide any of those things in the front yard. The HOA might not like the milkweed or okra. I happen to think they are beautiful plants/flowers. I do need to get some coleus in the spring. The flashy color in front hides a lot. Clear or translucent plastic disposable containers. I’m using old accumulated aluminum trays and a row cover over the top. Drill or cut drainage hole in the bottom and top. I used a wood burning tool for the holes and cutting the milk jugs. I saw a video to makes holes by heating a long nail (held with pliers) over a candle. Cut all the way around about 4-5″ from the bottom. You’ll ‘telescope’ the top over the bottom after sowing seeds. Cut around about 4-5″ from the bottom, except keeping the top attached below the jug handle. 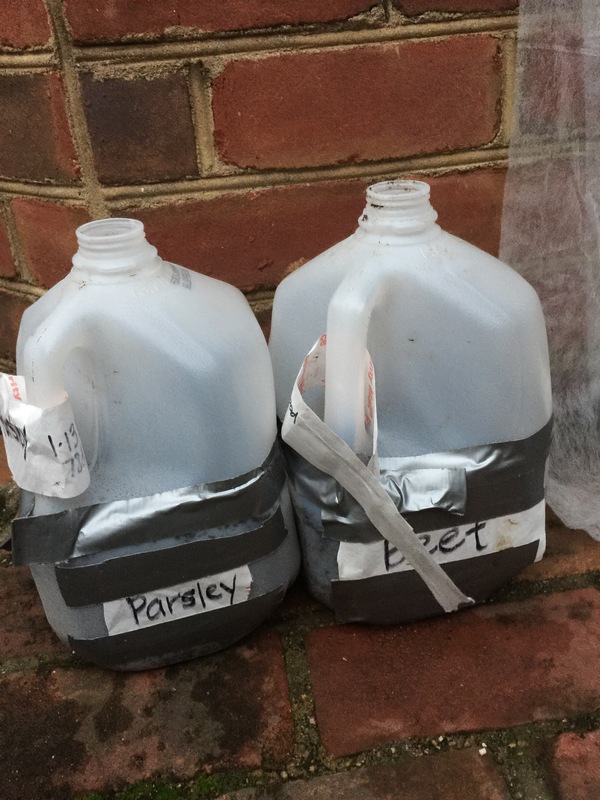 You’ll need duct tape to close milk jug after sowing seeds. 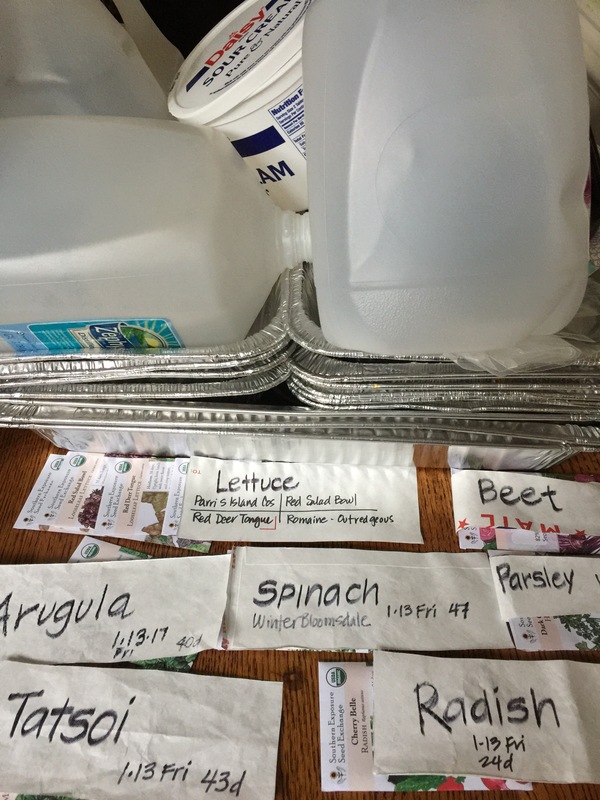 Label each container (top and bottom) with something weather proof. Or label your seeds with stakes. I cut up a tyvec bag, duct tape and a sharpie for labels. Well-drained soil is damp. I mixed potting soil, perlite with water in a big bucket. 2-3″ of soil, sow seeds, sprinkle more soil over the seeds and pat gently. I sprinkled a small amount of snail/slug bait. Set outside in indirect sun or sunny spot. No extra watering needed. Only winter rain & snow. On warm days in late winter/early spring, open the tops during the day to prevent overheating. Cover again if danger of frost. Plant in the garden after last frost. I will keep you updated on how this works for me. So far so good. Radishes, arugula, beets, lettuces are up. 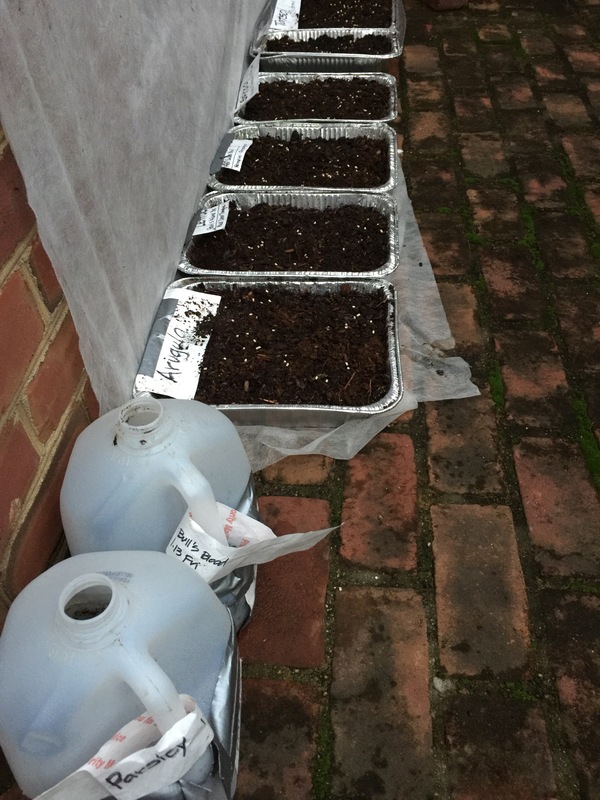 This entry was posted in Gardening in the South and tagged fall plantings, seeds, veggie garden, winter sowing, winter sown on January 16, 2017 by slantedstitches. So far, no neighborhood complaints. First pick of yellow peppers EVER! 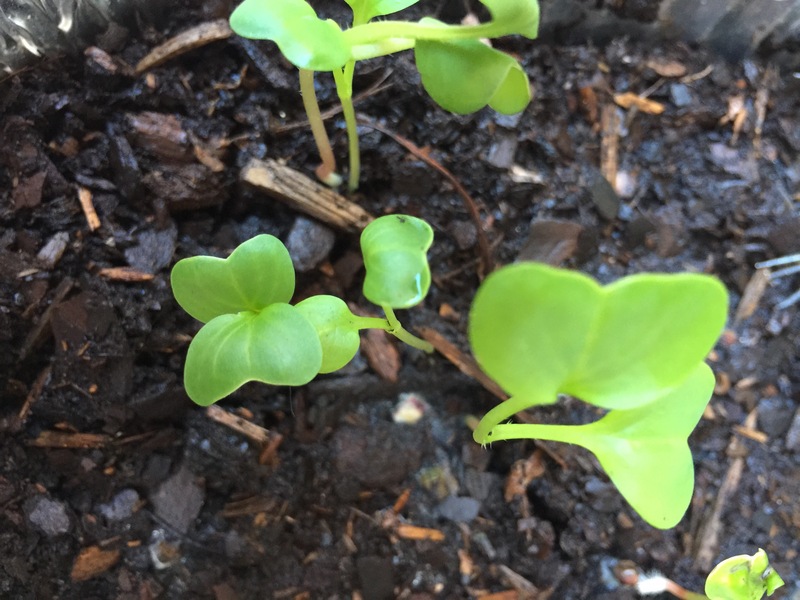 Dreams of seedlings starting in a month for fall plantings. Dreams of next spring plantings. Just call me Farmer Jo. This entry was posted in Gardening in the South and tagged front yard garden, New Zealand spinach, veggie garden on July 11, 2016 by slantedstitches.